Employment is the big, good news story coming out of the latest ACIF Forecasts, says Peter Barda, Executive Director for ACIF. 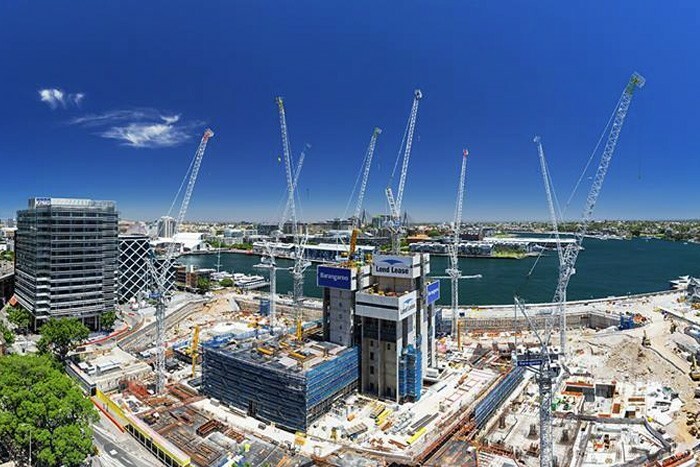 The latest industry forecasts from Australian Construction Industry Forum (ACIF) indicate a positive outlook for work demand across all sectors of the industry including residential and non-residential building, plus engineering construction. The ACIF Forecasts report analyses work demand, labour requirements, costs of construction and major projects twice a year to keep businesses of all sizes and various stakeholders well informed of changing market conditions. The latest report will be released in late July. According to Barda, the positive news for employment comes despite a decline in mining infrastructure. New South Wales and Queensland are powering ahead on the back of a resurgent non-residential building sector, with new drivers of structural change reshaping the CBD office markets. Additionally, infrastructure investment is driving new investment in industrial buildings. A mini boom powered by engineering construction, specifically in the roads and mining segments, is forecast for these states. The residential building sector for NSW, Queensland and Victoria is strong with new dwelling completions going through the roof. However, the question still remains whether this growth can be sustained. The forecasts are generated by the building and construction industry’s peak consultative not-for-profit body, with the unique benefit of the industry’s own Construction Forecasting Council overseeing the rolling ten-year forecasts. ACIF will release the latest data at three Forecast Breakfasts in Sydney, Brisbane and Melbourne on 20 – 23 July 2015. The presentation will include: National forecasts and analysis for residential building, non-residential building, and engineering construction; Forecasts and analysis for the three sectors, for all states and territories; Detailed outlook for the state and capital city; Overview of the global economic drivers affecting the Australian economy; and, Five-year forecasts of the macro indicators of prosperity for the construction industry – GDP, interest rates, employment, inflation, and more. Delivered by pre-eminent industry forecaster, Kerry Barwise, followed by debate by an expert panel, ACIF Forecasts Breakfast is an important event for businesses in building and construction in New South Wales, Queensland and Victoria. More information about the ACIF Forecasts and the July release can be accessed online. ACIF Forecasts are available in the Australian Construction Market Report including national and state-by-state data and analysis by Australian’s leading forecaster, plus the Customised Forecasts Dashboard where subscribers can query ACIF’s data to generate detailed reports and charts from national to postcode level.